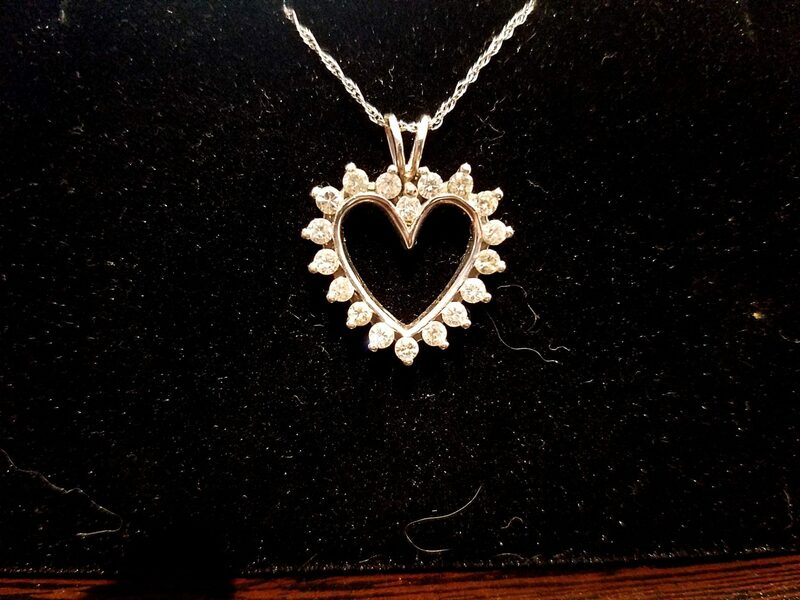 This gorgeous 1 Carat Diamond Heart Necklace is set in 14K White Gold and has 1 carat of SI2-I1, IJ color diamonds. This looks FAR better in real life than in my horrible picture. If interested, contact me and I will try to get some better ones pictures. Total Weight: 1 carat. approx. Click HERE to see another Heart Necklace Design.